Justin A. Cohn | The Journal Gazette The Mad Ants Alize Johnson, right, prepares to drive around the Windy City Bulls' Kaiser Gates at Memorial Coliseum on Friday night. 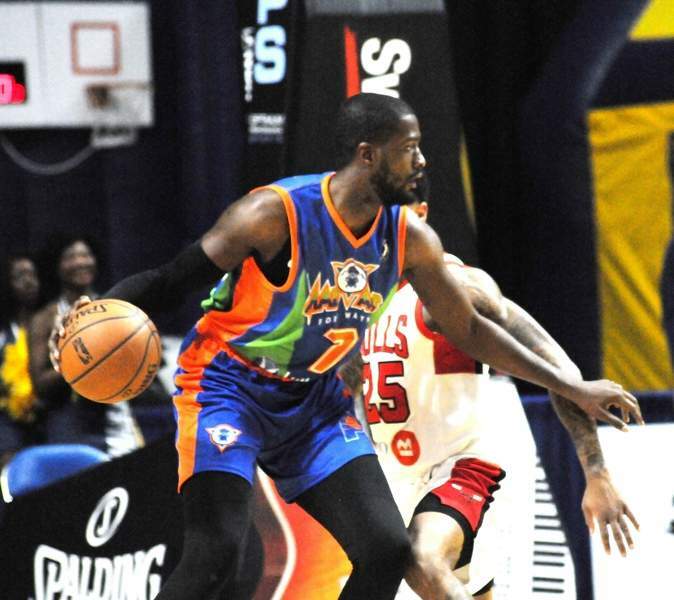 The Mad Ants know just how dangerous Walt Lemon Jr. can be and the former Mad Ants star showed it yet again tonight. 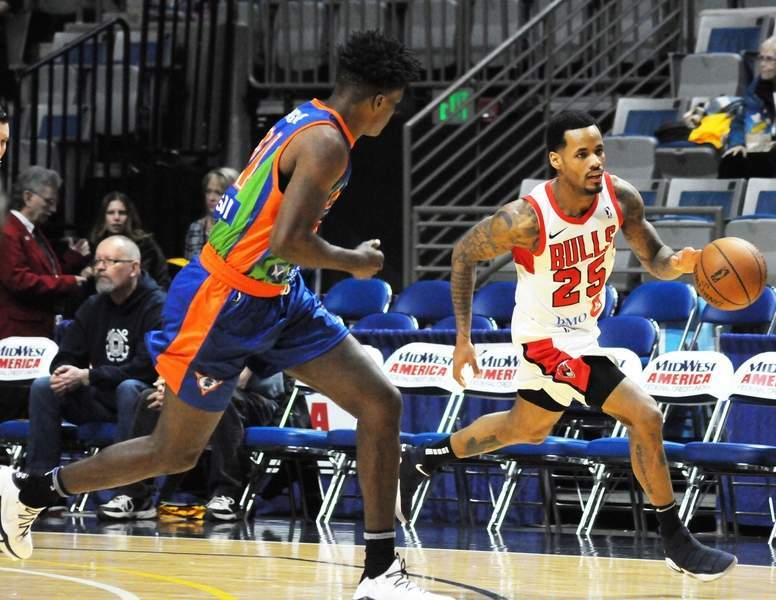 Playing for the Windy City Bulls, he totaled 15 points, nine assists and eight rebounds in a 116-98 victory over Fort Wayne in front of an announced crowd of 2,407 fans at Memorial Coliseum. Lemon had plenty of help, though: and Kaiser Gates had 24 points and JaKarr Sampson added 23 for the Bulls (19-16), who have won four in a row. The teams have been going back and forth for first place in the Central Division. 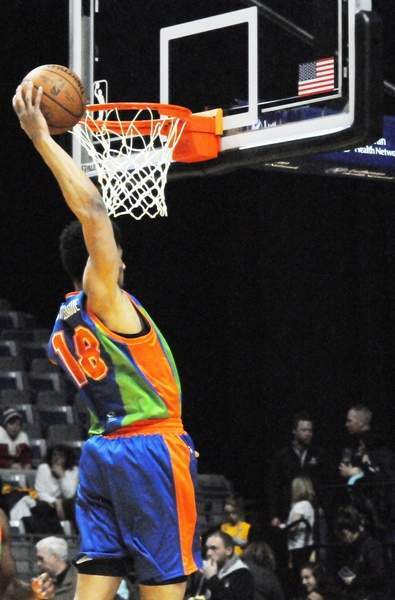 It was Indiana Donor Network Night and the Mad Ants (18-16) wore special jerseys that were auctioned off. They also honored former New Haven basketball player Steve McElvene, who died in 2016, while a player at the University of Dayton, of hypertrophic cardiomyopathy. Just the day before he died, he made the decision to become an organ and tissue donor. His high-school teammate, V.J. Beachem, plays for the Bulls and had five points and seven rebounds. Fort Wayne was paced by Rob Gray’s 18 points. Alize Johnson had 16 points and 13 rebounds. 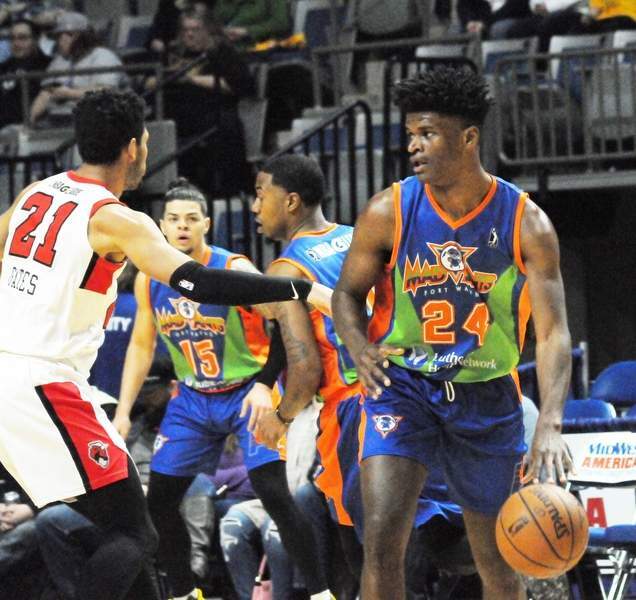 The Mad Ants came in having won 4 of 5 games, and it was on the heels of a 121-118 overtime victory at the Coliseum on Thursday over the Capital City Go-Go. In that game, Gray scored 30 points. It was Gray’s first start in place of Tra-Deon Hollins, who had been waived in the wake of, according to sources, a failed drug test. The Bulls led 26-25 at the end of the first quarter, paced by 10 Mychal Mulder points, but the lead was quickly up to 46-34 when Mulder converted a 3-pointer with 5:17 remaining in the second quarter. The Mad Ants cut the lead to two points, at 50-48, when Omari Johnson made a 3-pointer, but it didn’t last long. A Lemon drive to the basket made it 58-51 with 17 seconds left in the quarter and he was up to 13 points. The Bulls built their lead to 85-70 by the end of the third quarter – Mulder was up to 23 points on 10-of-11 shooting – and Fort Wayne had been held to only 37.5 percent shooting at that point. Windy City’s C.J. 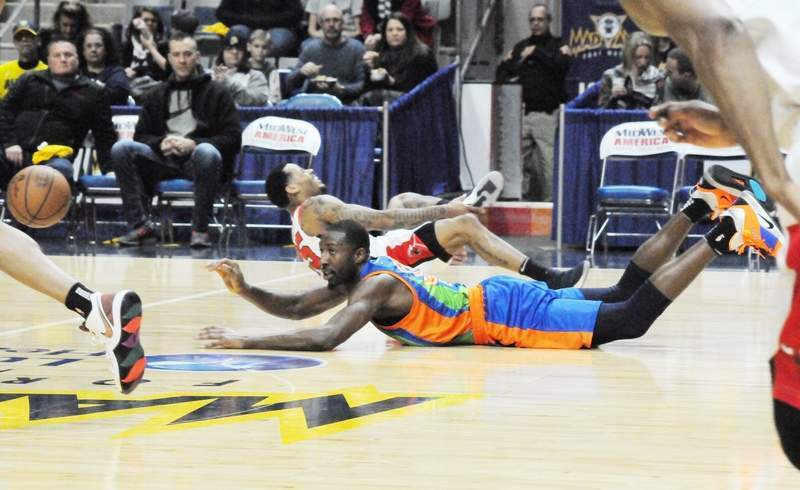 Fair, another former Mad Ants player, was out with an ankle injury.